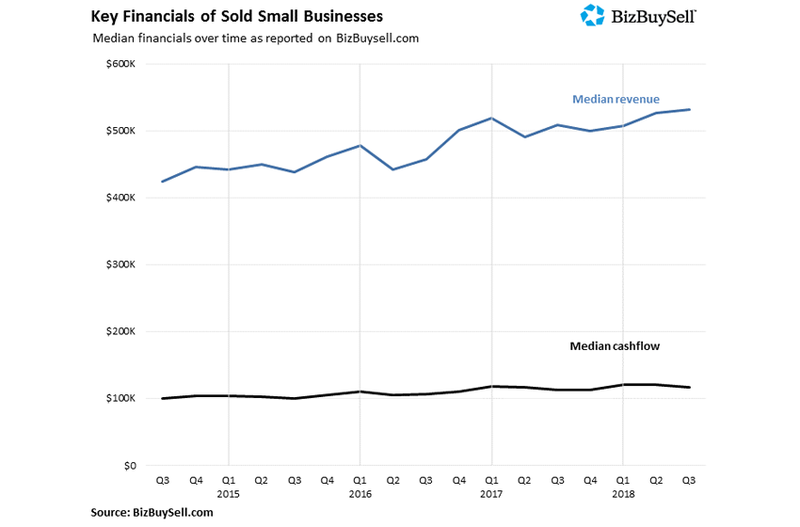 The Third Quarter 2018 Insight Report from BizBuySell.com reveals yet another record when it comes to the selling price of small businesses. According to the report, this has allowed small business owners to ask and receive a record amount of money. 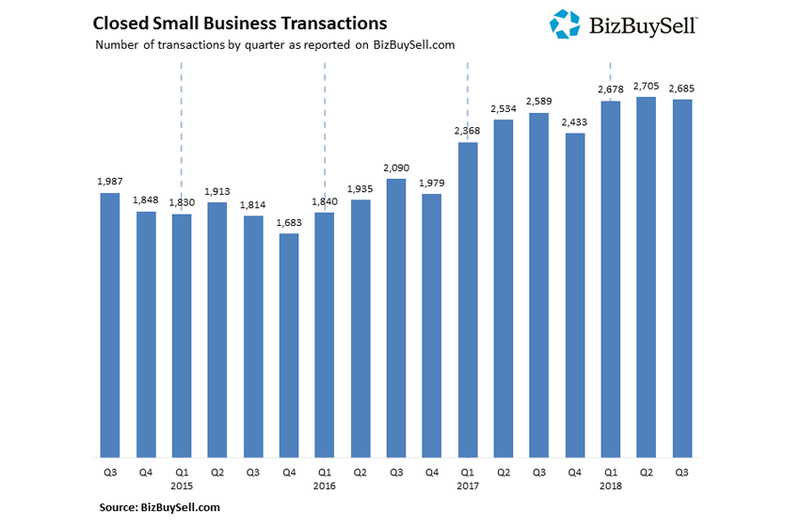 BizBuySell.com is attributing the current market conditions to strong business financials in the third quarter. For small business owners looking to cash out, this might be a great time. However, if the current trend keeps going the way it has for the past several quarters, there’s no telling how high prices can go. And with more people looking to buy a small business, there could be many more quarters with record highs to come. 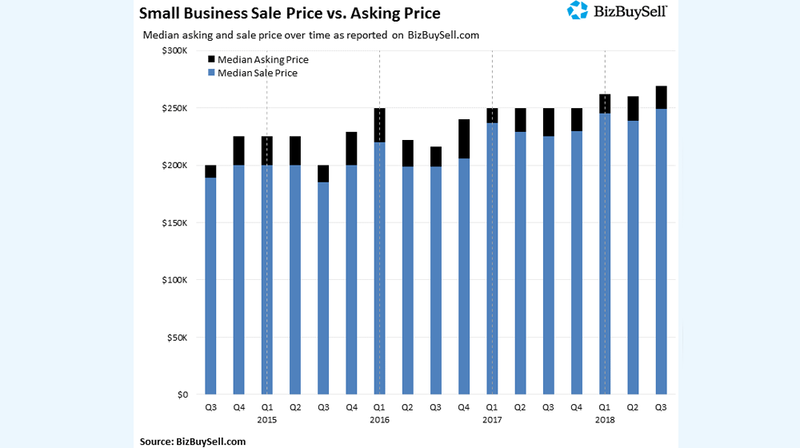 The data for the quarterly Insight Report from BizBuySell comes from an analysis of around 45,000 businesses for sale and those recently sold across the US. The statistics are from business-for-sale transactions reported by participating business brokers across the country. The report focuses on more than 70 major U.S. markets with publications on local, regional, state and national data. The biggest data point is the high selling price for businesses. The median selling price for a small business went up to $249,000 in the third quarter, which is a 10.7% increase from the same period last year. According to BizBuySell, this is the highest amount since the company started collecting sales data in 2007. The asking price is also the highest since 2007, which now stands at $269,000 for the third quarter, a growth of 7.6%. This is a 93% sales-to-ask ratio, meaning buyers and sellers are on the same page when it comes to the value of the business. They are seeing eye-to-eye because according to the report, the median revenue of business sold in the quarter was $530,995 with a cash flow of $116,229. This is an increase of 7.4 and 2.8 percent respectively for revenue and cash flow year-over-year. As to the number of businesses which changed hands in the quarter, a total of 2,685 owners and buyers agreed to make deals and close. This is a 3.7% increase from the Q3 2017, which is on pace to break the record for the most businesses sold for the year. In the report, BizBuySell points out several possible challenges as the year ends. In the fourth quarter a number of events can influence the current upward trend. The first is the November elections. As President Trump continues to get rid of regulations he has created a more positive environment for many small businesses. The election results can stop or slow down the continuation of his agenda. The second issue is tariffs. Currently, the President enjoys support from small business owners, with 76% approving how the President is handling the situation. The support even comes from business owners who will be negatively impacted by the tariffs. Even with these challenges, BizBuySell says its data shows an active market for the foreseeable future.